Please note that above price is subjected to change and is for reference purpose only. Kindly contact Volkswagen Nepal to get the latest showroom price. Note: Volkswagen price list was last updated on February 12, 2019. Volkswagen cars in Nepal are distributed by Pooja International Nepal Private Limited. Company is part of Vishal Group which in the past used to sell Suzuki motor bikes as well. The import of Volkswagen began in the decade of 60s in Nepal. Company believes that Volkswagen offers right mix and models of cars suitable for Nepali market. Their quality engineering and innovation makes it a well accepted brand. Talking about Volkswagen (VW) as global brand, it is a German company founded in 1937. It’s headquarter is located in Wolfsburg, Germany. In German language, Volkswagen means “people’s car”. Volkswagen, flagship marque of Volkswagen, is the largest automobile manufacturer in 2016 in terms of worldwide sales. The group owns and manufactures multiple renowned brands of cars and trucks such as Audi, Bentley, Bugatti, Lamborghini, MAN, Porsche, Scania, SEAT, and Škoda. Their core market includes mainly China and Germany. 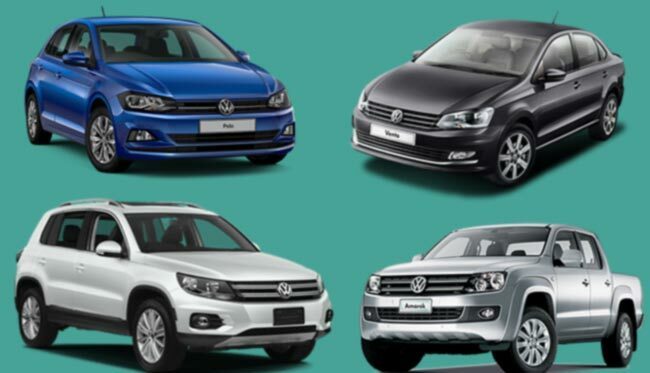 In Nepali market, Volkswagen is selling all range and models of cars and SUVs. Their car models available in Nepal include Polo, Cross Polo, Vento, Jetta, Tiguan and Amarok. The price of Volkswagen cars in Nepal starts from Rs. 27 Lakhs and high-end models of car goes upto Rs 1.58 Crore, as listed above. Pooja International Nepal Pvt. Ltd.
Or you can message us your queries regarding Volkswagen car price in Nepal or its specifications/features at our Facebook page.